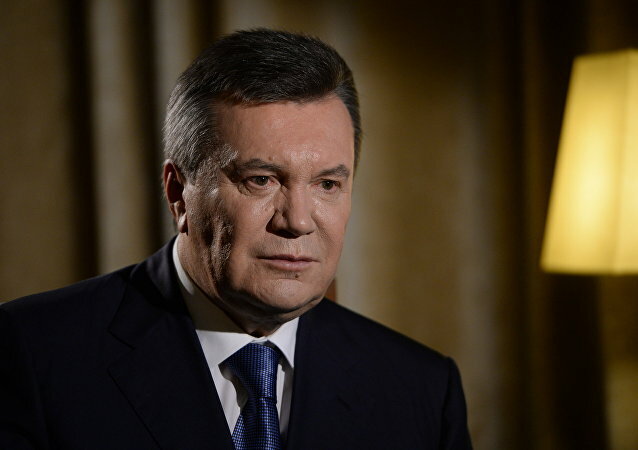 Former Ukrainian President Viktor Yanukovych will testify on Monday in the case on the 2014 Maidan uprising after the initial hearings were put off by the court. 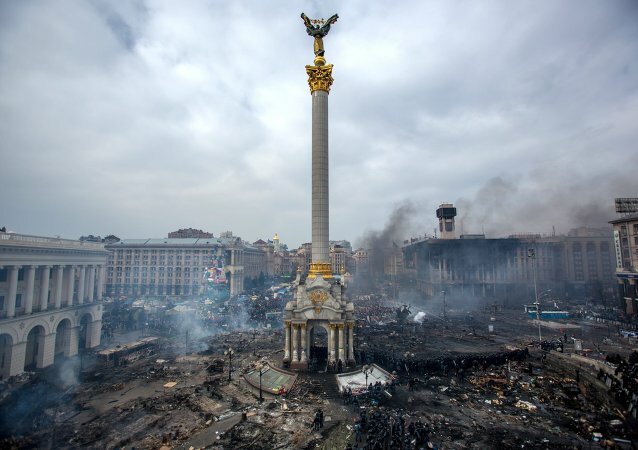 Ukrainian ex-lawmaker Vladimir Oleynik plans to appeal to Ukrainian, Russian and European courts to establish that the events which took place in February 2014 in Kiev were a coup d'état against Ukraine's lawful authorities. Ukrainian observers say that if Oleynik's effort succeeds, it will have far-reaching consequences for Ukraine and the world. Ukrainian ex-lawmaker Vladimir Oleynik says that the February 2014 coup d'état in Ukraine must be formally adjudicated as such. Commenting on Oleynik's remarks, German lawmaker Andrej Hunko told Sputnik that German Foreign Minister Frank-Walter Steinmeier's role in the coup should disqualify him from the German presidency. Ukraine has come to the third anniversary of the beginning of the Euromaidan protests in a difficult situation. 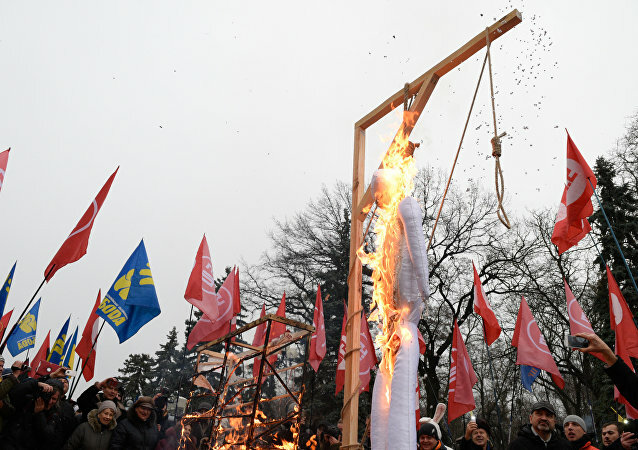 The coup-installed government pledged to accelerate Kiev’s integration into the European Union and has made numerous attempts to intensify ties with the EU. However, no visible progress has been made so far. As US Secretary of State John Kerry visits Kiev following a stop-off in Georgia, Radio Sputnik’s Loud & Clear speaks with political analyst Daniel McAdams to discuss the implications of the US-led coup in Ukraine. After a protracted debate on factual inaccuracies, Swedish television network SVT made up its mind to air the controversial documentary "Ukraine, The Masks of the Revolution," which is supposed to give an unflattering picture of the coup, its architects, contributors and participants. Now that Ukrainian Prime Minister Arseniy Yatsenyuk has resigned, former CIA analyst Ray McGovern speaks with Radio Sputnik’s Loud & Clear to discuss who’s in line to be the US-approved replacement. 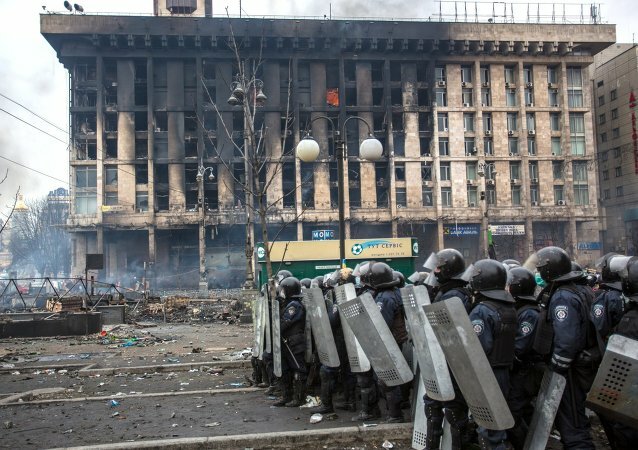 As a result of the Maidan coup, Ukrainians now have a government which will never implement reforms, and the president’s excuses are less and less convincing, a Ukrainian journalist wrote. Two opposing forces are now ruling Ukraine, but none of them is going to tackle the country’s problems, German media reported. 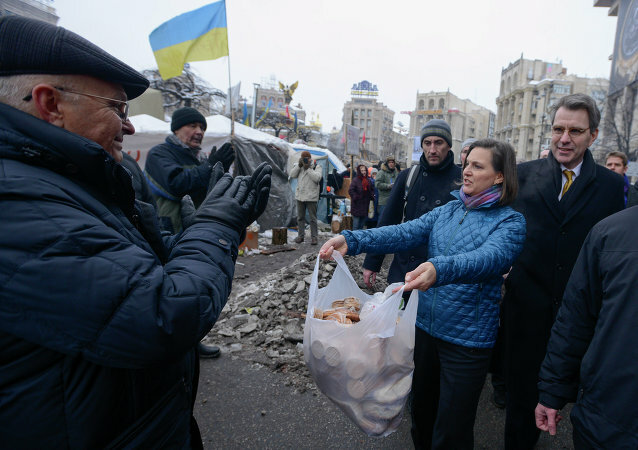 The Ukraine crisis represents just another failure of neocon-driven "regime change," strikingly similar to those orchestrated by Washington in the Middle East and North Africa, US investigative journalist Robert Parry notes, warning that Ukraine may soon become the next failed state. 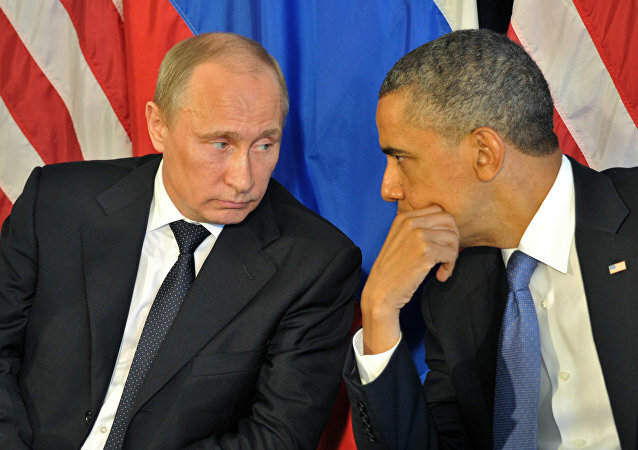 With relations between the US and Russia at an all-time low, former CIA analyst Ray McGovern discusses the circumstances behind the tensions with Radio Sputnik’s Loud & Clear. The new pro-Western government that came to power in Ukraine after the Maidan revolution is unable to carry out reforms to the old system since the current government is a product of that system. Meanwhile, the popularity of the president and prime minister has dramatically dropped. 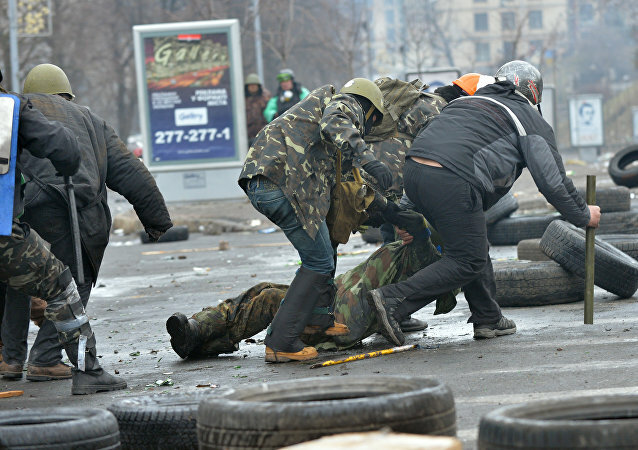 Political impotence, foreign diplomatic meddling and outright treason by the country’s former leaders allowed the 2013 protests to degenerate into a full-blown coup, Ukraine’s ex-interior minister told Russian media on Friday.